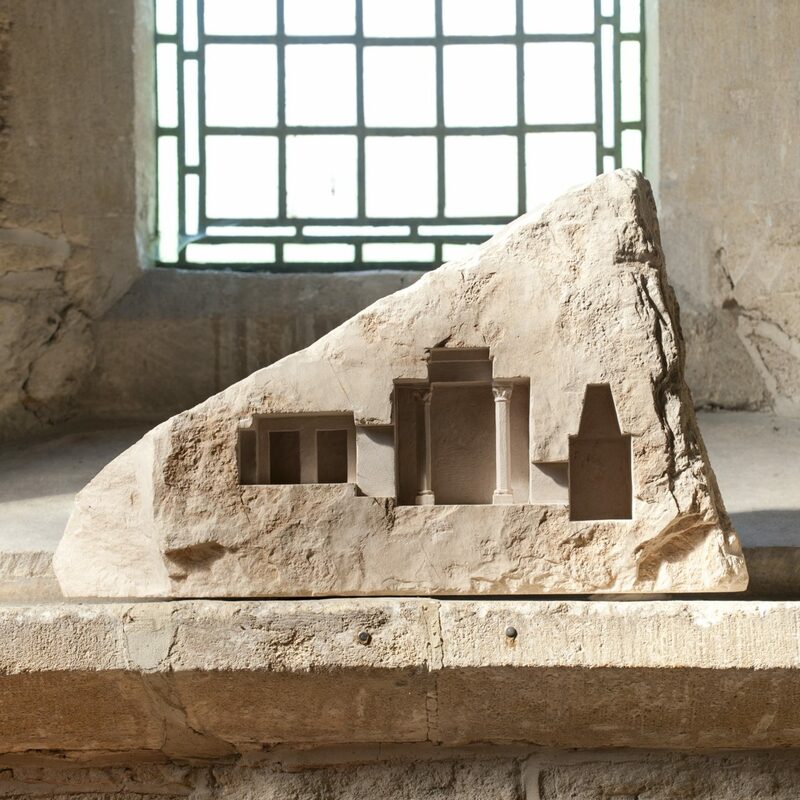 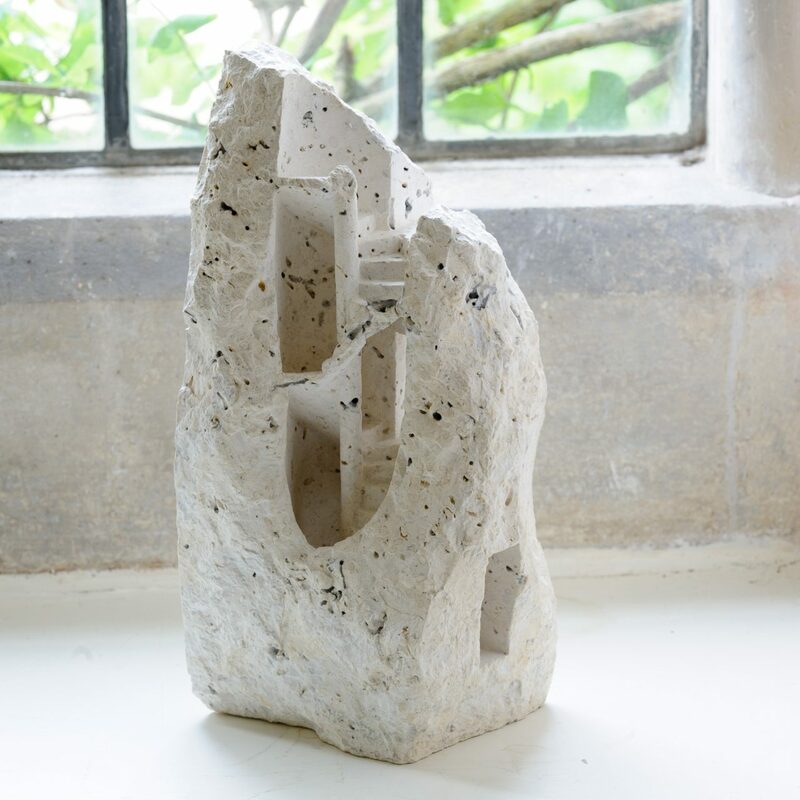 Matthew Simmonds - on form | sculpture: the showcase for contemporary sculpture in stone at Asthall Manor, Oxfordshire. 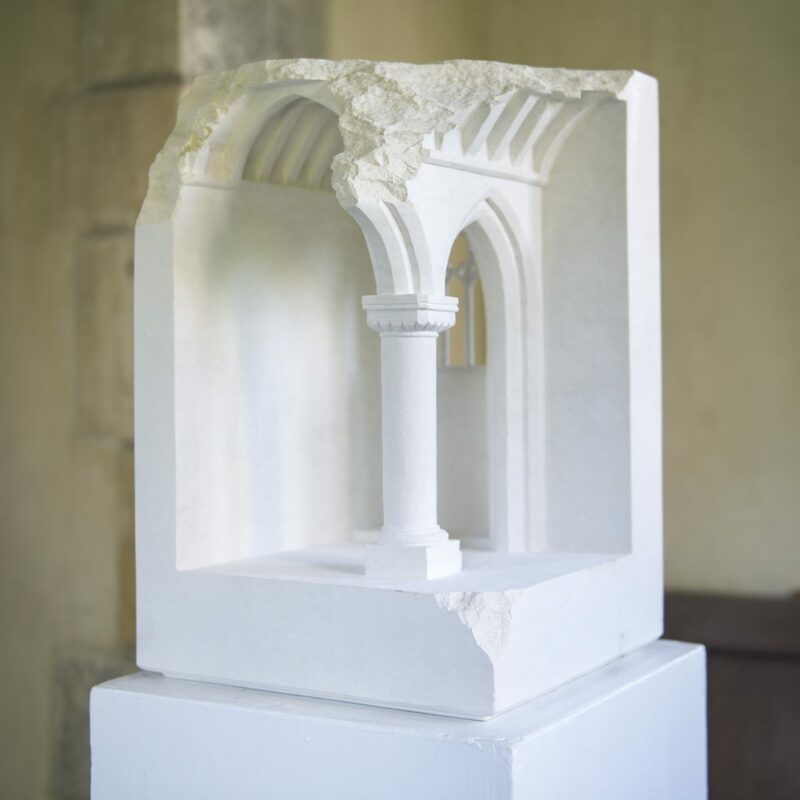 Matthew graduated from the University of East Anglia in 1984 with a degree in Art History, and in 1990 embarked on a career as a stonemason. 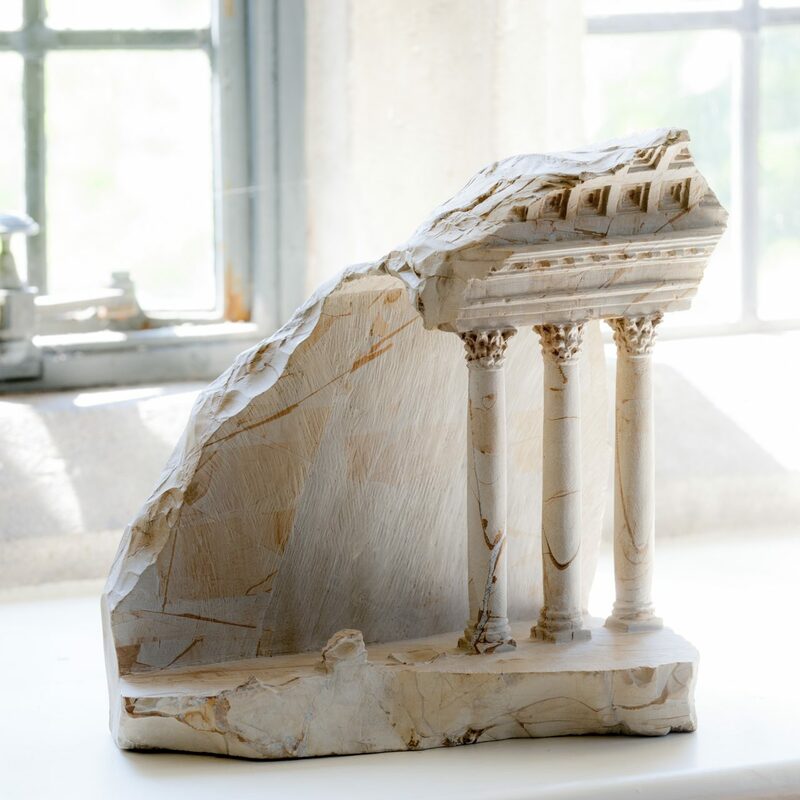 In this capacity he has worked on many prestigious restoration projects in the UK, most notably Westminster Abbey and Ely Cathedral, before transferring to Pietrasanta, Italy in 1997. 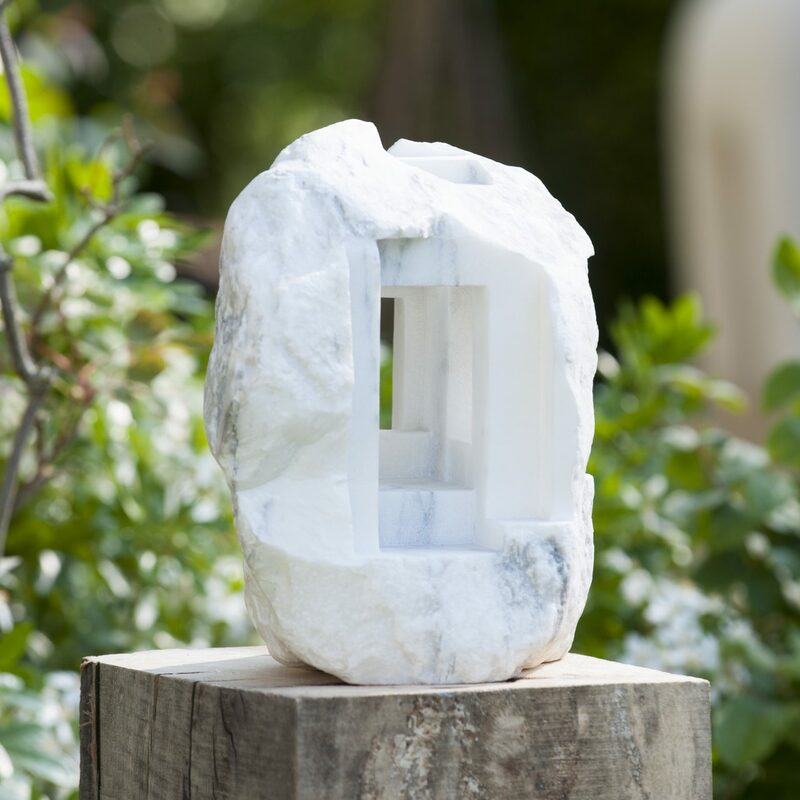 In 1999 he won first prize at the Verona International Sculpture Symposium, gaining his first recognition as a sculptor. 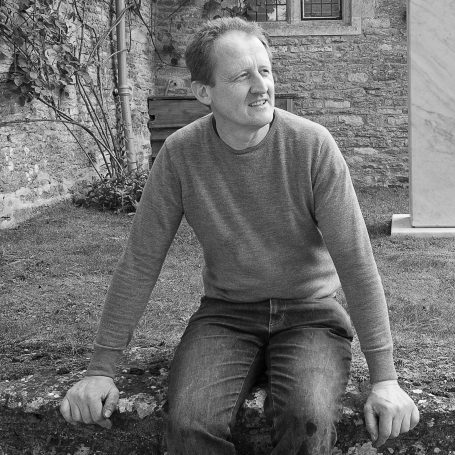 Since then he has exhibited in Italy, the UK, Germany, China, Australia and the USA, and has most recently completed two prestigious projects for Swire Properties, Hong Kong. 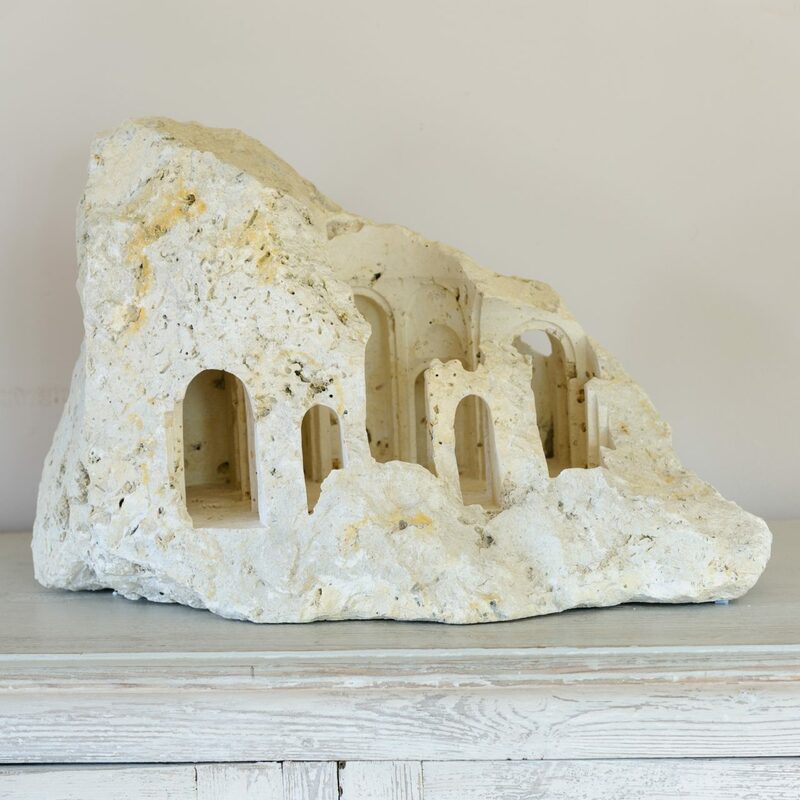 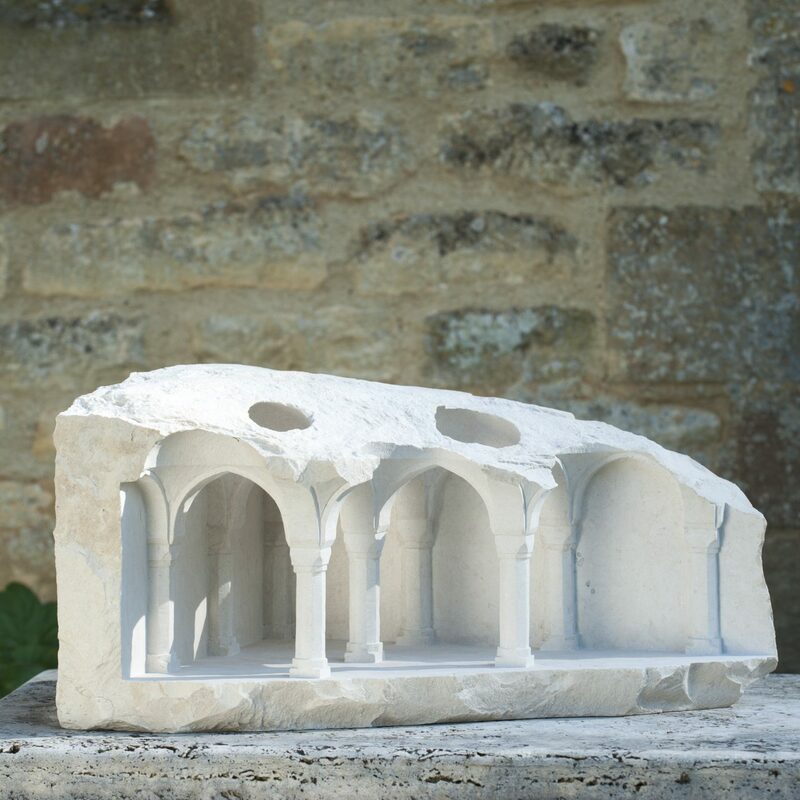 Inspired by a lifelong fascination with stone buildings, Matthew’s work takes stone architecture, and particularly sacred stone architecture, as a central theme. 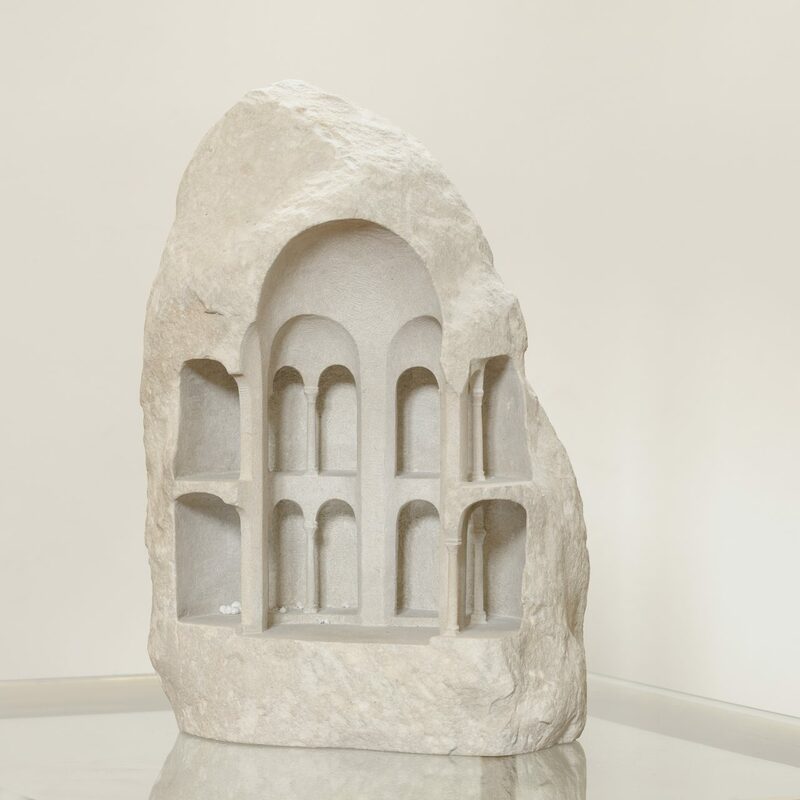 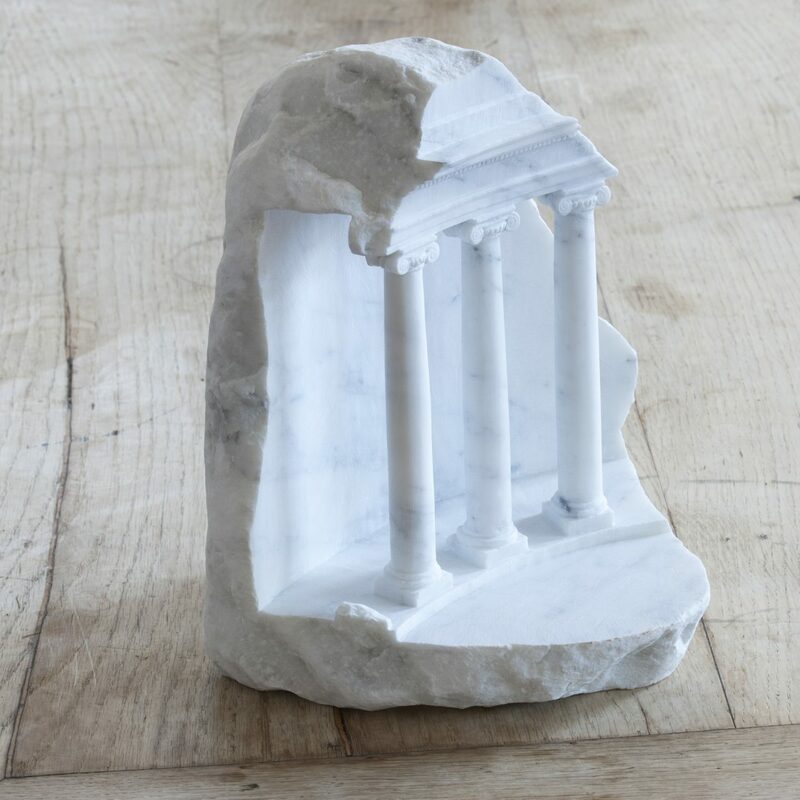 Making a play of architectural spaces on a small scale, the solid stone is opened up to reveal internal worlds, often intricately carved, in which the changing viewpoint and light play a strong role in defining the sculptures. 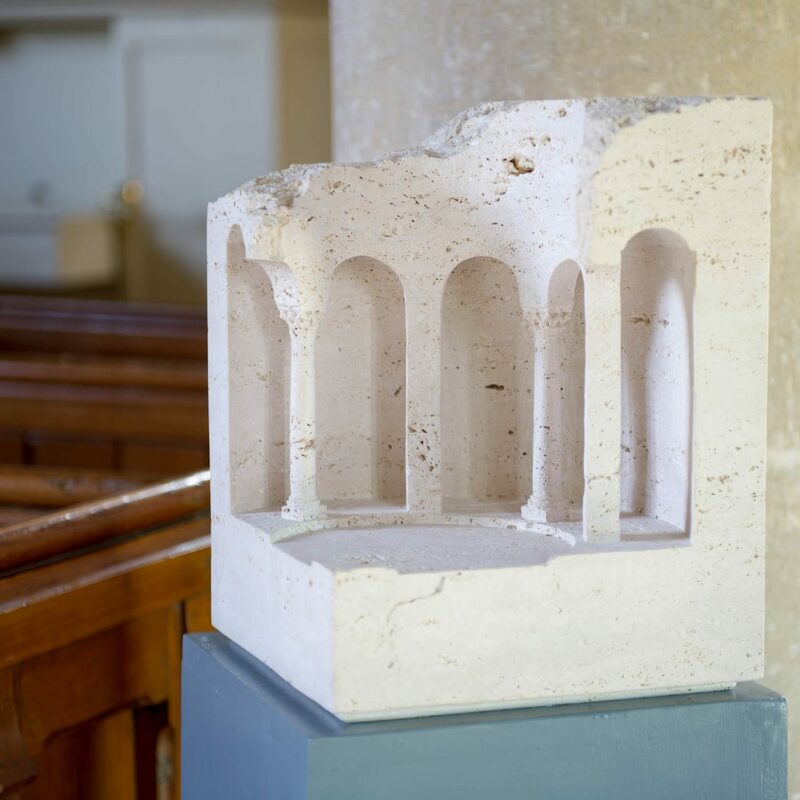 Drawing on the formal language and philosophy of architecture the work explores themes of positive and negative form, the significance of light and darkness and the relationship between nature and human endeavour.